Bad checks are a reality in this economy, and the best defense may be a good offense. 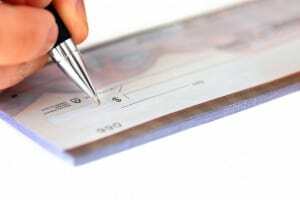 Some standard lease forms are wimpy when it comes to bad checks. For instance, standard language may require that you file a lawsuit against the tenant before you can collect fees, may not prevent you from having to accept another check from that same tenant, or may not provide the right to evict a tenant for bouncing checks. If your lease doesn’t spell out the consequences when a tenant bounces a check, talk to an attorney so you’ll be protected the next time around.